There’s only one question The Walking Dead Season 7 needed to answer off the bat, and it wasn’t Negan’s victim. It would take a major swing to justify such a cheap, manipulative cliffhanger as the one that ended Season 6, so was it worth it? The very fact that “The Day Will Come When You Won’t Be” strains to tease out Negan’s victim even further proves that The Walking Dead has little concept of what bothered fans in the first place. There’s no story to be unveiled with bashing in someone’s skull; no gratification in guessing. Rather than atone for their mistake by answering the question and moving forward, The Walking Dead triples down on a terrible idea, peppering in flashes of character history from Rick’s perspective, and even running down the entirety of Negan’s nursery rhyme again when the moment actually comes. There’s no one watching that doesn’t simply want this over with by then. 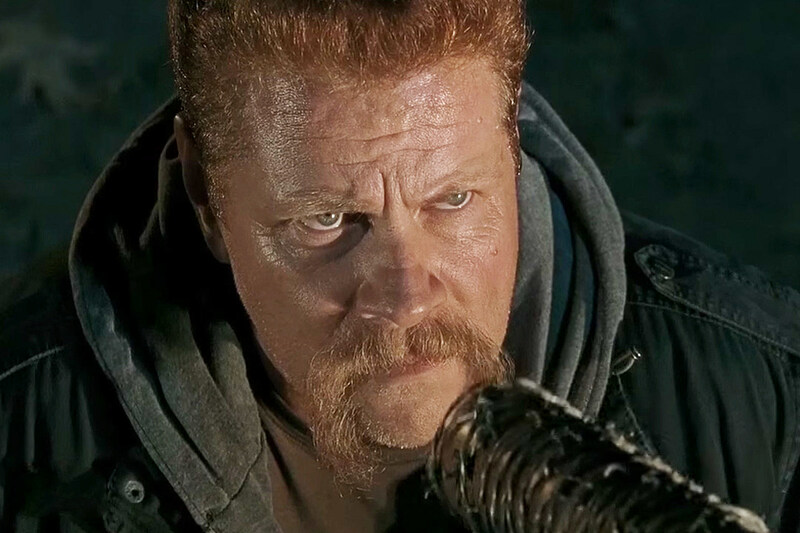 I don’t mean to diminish the fact that two fan-favorite characters like Abraham and Glenn die, and the actual deaths are appropriately harrowing for all involved, but it’s also unavoidable that these names have been floating around for months. Whatever grand experiment The Walking Dead undertook to conceal that two actors were conspicuously missing from the set failed, and neither represented a compelling choice to begin with. Both Glenn and Abraham died around this point in the comic* (Glenn obviously in the same way), and both characters had reached a limit in their usefulness, to the point characters like Maggie and Sasha were better-served to carry on without them. *At this point, it’s hard to tell which relationship hurts The Walking Dead more: its reverence for comic moments that become part of the TV conversation years in advance, or its principle actors negotiating contracts that don’t allow for any genuinely unexpected demises. Or the ability to shave when you've been out of work for six months. There’s a larger point The Walking Dead means to make with Rick ending up so shattered by Negan’s actions, and to their credit, Andrew Lincoln turns in a phenomenal performance tonight. The sequence of Negan ordering Rick to chop off Carl’s arm was everything the prior deaths should have been: tense, unpredictable and full of heightened emotion. The strange thing is, producers previously spoke to the Season 6 finale emphasizing Rick’s emotional state over the actual identity of the victim; exactly what Sunday’s premiere ended up re-emphasizing anyway. Ultimately, “The Day Will Come When You Won’t Be” doesn’t really leave us with much more than we already knew. There’s no further insight into Jeffrey Dean Morgan’s Negan other than his glib possessiveness, and no sense of what any of the characters outside the forest are up to. We have no real notion of what Season 7 is, other than Rick as a broken man, and perhaps Daryl a kept one. I’m still looking forward to a few new characters and locations, but the fact that tonight’s premiere had no interest in anything outside its terrible cliffhanger doesn’t exactly bode well for the current state of the series. And that’s it. Negan took Rick for a drive, Rick remembered who died, and maybe would have chopped Carl’s arm off. Everyone was real sad. And the trees were a lot greener than they were six months ago. I’m going to be a very happy man if Rick ever does lose his hand, if only so we can stop wondering if the series is about to go there. Surely Rick had more than one opportunity to get a genuine chop at Negan during the trip, especially after the majority of his bullets went to walkers around the RV. If nothing else, the effects of the hanged zombie losing his head as Rick held on were neat. Presumably those shots of every cast member getting hit by Lucille were the supposed fake-out takes? The Walking Dead Season 7 will return October 30 with “The Kingdom,” airing at 9:00 P.M. on AMC.